Known for racking up points with a high-powered rushing attack, No. 9 Archbishop Curley found itself in a defensive struggle, Friday afternoon at Boys’ Latin, and the Friar defensive stood just a little taller, leading the way to a 13-7 Curley victory, keeping the Friars undefeated in 2014. Despite constant pressure from the BL offense, often deep in Friar territory, Curley’s defense came up with four interceptions and two fumble recoveries, and forced two additional turnovers on downs. Curley (8-0, 4-0) needed every one of them. Junior Larry Thompson came up with two interceptions, including a huge one in the fourth quarter, which he returned 47 yards to the Boys’ Latin 28. On the very next snap, Curley star Deonte Harris broke two tackles and tight-roped his way down the left sideline for what would prove to be the winning touchdown. The win, however, did not come without some high drama over the final seven minutes. Following Curley’s second score, BL quarterback Logan Wisnauskas quickly marched the Lakers downfield, going 4-for-4 for 52 yards on a six-play, 71-yard march and putting the Lakers right back in the contest with a 15-yard touchdown pass to junior Davey Lizana. Following Dominic Maggio’s extra-point kick, Curley’s lead was cut to 13-7, with 6:14 to play. The Laker defense, which was also outstanding most of the day, forced Curley to punt on its next possession, but the Lakers lost a fumble on the second play of their next possession, giving Curley the ball back at the BL 36, with 3:15 left. It looked bleak for Boys’ Latin at the point, but utilizing their remaining timeouts, the Lakers forced a turnover on downs and got one final opportunity. The Lakers (5-3, 2-2) started their final drive at their own 27 with 2:13 remaining on the clock. Again, Wisnauskus exploited Curley’s prevent defense, completing six straight passes to move his team all the way to the Curley nine with 57-seconds remaining. But, the next four passes from the 6-foot-3 junior QB fell incomplete, turning the ball back to the Friars, allowing them to take a knee and close out the victory. Murphy had praise for both defenses, and he knew he could count on his own with the game on the line. In the opening quarter, Boys’ Latin’s defense was absolutely dominant, as it did not allow Curley a single first down in the quarter. That changed dramatically on the first snap of the second quarter, when Harris slipped through the line and ran away from the field, racing 65-yards for the first score of the game. Harris, despite a slow start, finished with 228 yards rushing, as he remains a big play threat every time he touches the ball. Shawn Fenner added 61 yards rushing for the Friars and Marty Costes had 48, as Curley gained 345 yards on the grown. Boys’ Latin will look back at the first quarter as the time it squandered three excellent scoring opportunities. On their second drive, the Lakes had a second and goal at the Curley eight. Wisnauskas completed a pass to Braden Atkinson at the Curley one, but as Atkinson stretched for the goal line, the ball was knocked loose and recovered by the Friars in the end zone. On their next drive, the Lakers again had the ball inside the Curley 10. On fourth down at the eight, Coach Richie Schell called on Maggio, a Wake Forest recruit and one of the top kickers in the state, but his 25-yard field goal attempt was pushed wide left. Then, on BL’s next possession, Wisnauskas was intercepted in the end zone by Curley’s Tyshawn Williams. Schell knows things may have been different if his squad could have gotten points on any one of those opportunities. The veteran head coach was still proud of his team’s effort, especially the defense. The outcome leaves four teams still battling for two spots in the league championship game, with just one week remaining. No one has clinched yet, including Curley, which is undefeated. Two time defending champion St. Paul’s, which defeated St. Mary’s, 29-27, on Friday, and John Carroll, which edged Severn, 14-13, Friday night, are both 3-1 in the conference. Next Friday, Boys’ Latin will host St. Paul’s in their annual rivalry showdown, and Curley will host John Carroll on Saturday night. Curley will advance to its second straight final with a win or a St. Paul’s loss. 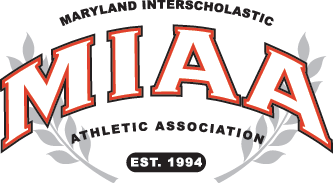 If John Carroll defeats Curley and St. Paul’s wins, that would force a three-way tie, envoking tie-break criteria to determine the two teams will advance to the title game on Nov. 8 at Archbishop Spalding. If Curley and St. Paul’s both win, those two teams would meet in the title game, a rematch of last year’s final. If Boys’ Latin defeats St. Paul’s and Curley defeats John Carroll, BL, St. Paul’s and John Carroll would each finish 3-2 in the league. Again, tie-break criteria will be needed to determine the team that would advance to play Curley for the championship.